After the initial meeting with the customer, the Humphrey Engineered Solutions team went to work directly with the customer’s engineering department, and together they identified the critical sealing issues. 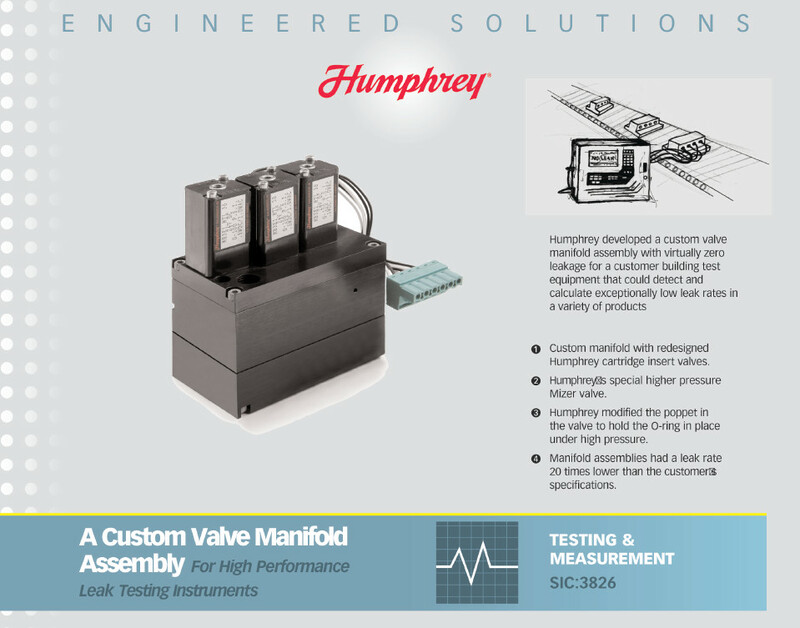 Humphrey took their standard cartridge insert valve and developed a new stem for the O-ring. The stem effectively “trapped” the O-ring, keeping it from being blown out or distorted under the high press used during the testing. Then the Engineered Solutions team utilized the proven Humphrey Mizer valve as a pilot operator. The Mizer’s low current consumption meant low heat dissipation, ensuring that it would not affect the accuracy of the customer’s instrumentation.